Full Size: 12.50" x 13.40"
Disposable jumbo wipers work on the toughest jobs and offer consistent size, shape and cleanliness. 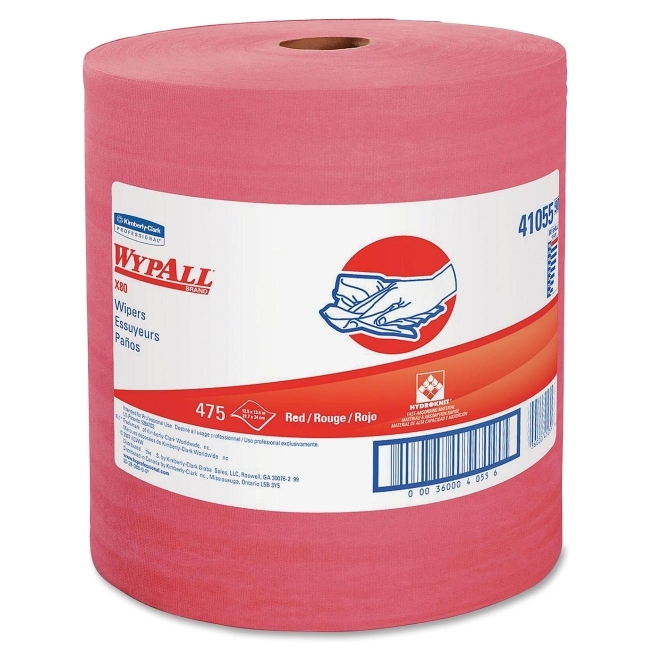 Pound for pound, Wypall X80 absorbs more water and oil than rental shop towels. Laundered shop towels can retain a measurable level of heavy metals even after washing. Using a roll of disposable Wypall X80 wipers helps you avoid that danger. Wipers are also manufactured without chemical binders or other agents that could harm your workers or work process.